Location can be a flexible concept on social media, but researchers have developed an algorithm that enables marketers to pinpoint user locations anyway. Location data can be a very reliable indicator of where to spend your marketing budget. If you’re a fan of Foursquare, or other check-in services, then there’s a wealth of information data to inform targeted marketing. But not everyone is honest about their location on Twitter. And while that may cause some of your ad dollars to miss the mark, the key to success is to develop a better understanding of how users signal their location. The first problem for location-targeted advertising campaigns is “geographic drift.” The 140 Proof blog defines geographic drift as “the difference between your stated location and your observed location.” Many users imagine that a physical area is much larger than it is. For example, people consider Chicago to be huge. 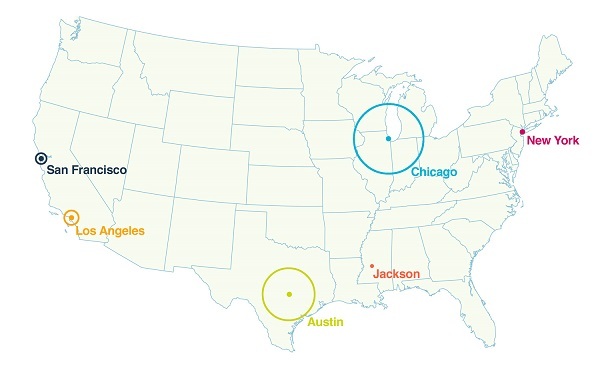 It’s circle of influence covers parts of four states, including most of Illinois and Michigan. 140 Proof cites four key reasons for the drift: users choosing ‘vanity’ locations for their bio, check-ins are more likely in denser areas, users elect to share GPS data, and IP addresses can be fuzzy when it comes to precise location. If you lived near Chicago, but not in it, you might list “Chicago” on your Twitter page — it’s just easier. 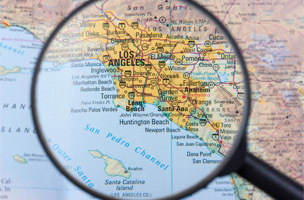 Other factors, like commuters, tourism or L.A.’s driving culture can also impact geographic drift, making it trickier to market to truly local audiences. But what about those who don’t use the methods mentioned above? Exactly how hard is it to pinpoint user locations? According to research from IBM [PDF], not that hard at all. The researchers at IBM created an algorithm that compared the content of geo-tagged tweets to untagged tweets. Hashtags, text references to geographic locations and even Foursquare check-ins all gave away a user’s location quite readily. To test the theory, researchers gathered 1.5 million tweets and used 90 percent of them to train the algorithm, and the results were pretty good. The algorithm could predict users’ cities 58 percent of the time, their state 66 percent of the time and their time zone 73 percent of the time. So what does this mean for marketers? To users of social media, location is a pretty flexible concept. But if you’re able to read between the lines, you can find the right information to target the right consumers.